Margan wines are all estate grown and estate made in the Broke Fordwich region of the Hunter Valley. 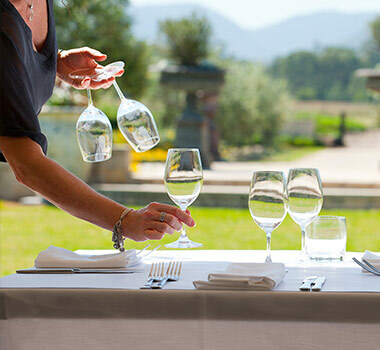 The business is owned and operated by Lisa and Andrew Margan who are proud to have over 100 hectares of quality vineyards, a state of the art winery and beautiful cellar door and restaurant. Margan Restaurant has been awarded Best Restaurant in Australian Tourism Awards, and Best Restaurant in both NSW and Hunter Valley Tourism Awards- Hall of Fame. Also awarded Top 10 Regional Restaurant in NSW by Gourmet Traveller, Sustainable Restaurant of the Year SMH Good Food Guide and Best Regional Wine List Gourmet Traveller. The vineyards are low yielding, old vines which make wines of concentration, depth and character. Andrew handcrafts wines that have regional and varietal definition – wines that are true to the traditions of the region but have their own contemporary personality. The first Margan wines were produced in small quantities in 1997. Since then the brand has grown in volume and reputation and is now widely distributed in Australia and internationally. The winery has been rated five stars for six consecutive years in James Halliday Wine Companion, and the wines have achieved critical acclaim as well as developing a loyal band of fans who appreciate the wines’ integrity. Andrew, what do you enjoy about making wine in the Hunter Valley? I enjoy making wines that show their sense of place. 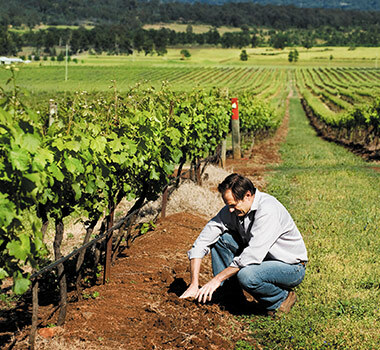 The Hunter Valley produces some of the most regionally unique styles of wine in the world. Every variety we grow has its own unique set of characters and structure that are affected significantly by the climate they enjoy, the soil they are produced from and the winemaking style I prefer. How long have you been in the wine Industry?